In the 13th century, when Marco Polo visited the then-Persian city of Baku, he mentioned numerous mysterious flames that could be found all over the region at various places of the Abşeron Peninsula. 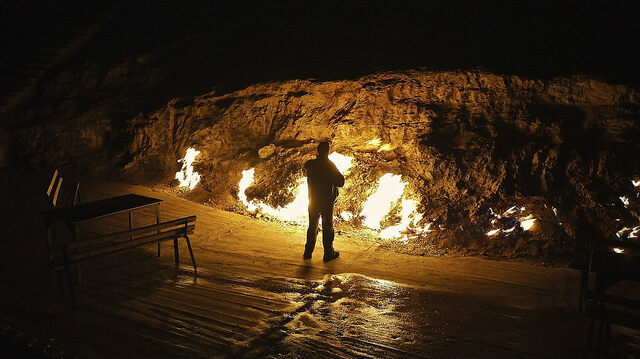 These fires gave Azerbaijan the moniker “Land of Fire.” Even five centuries after Marco Polo, French writer Alexandre Dumas witnessed natural flames in a mysterious fire temple. 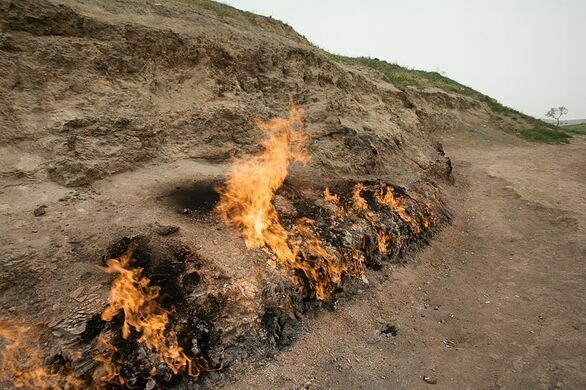 One can easily understand how these natural flames must have amazed and terrified people in history, and it doesn’t come as a surprise that the natural fires of Azerbaijan are considered to have played a crucial part in the creation of Zoroastrianism — a mystical faith, centered around ceremonial fire cults, which appeared in the region around 2,000 years ago. 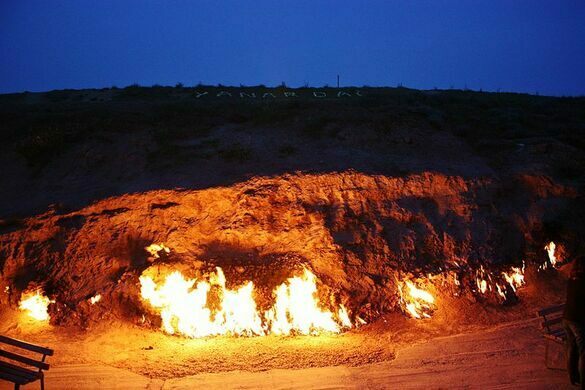 The natural flames of Azerbaijan can be attributed to its enormous gas reserves. When exploitation of these reserves began, most of the natural fires burned out, due to a reduction in underground pressure. 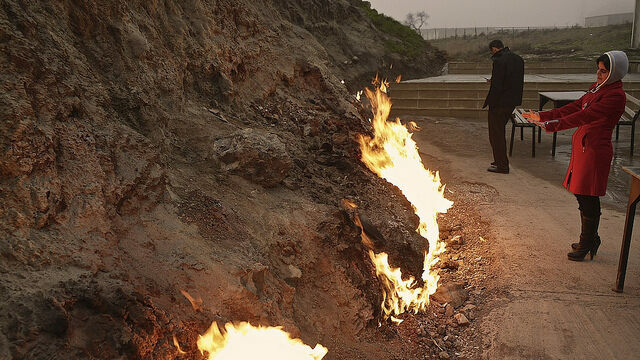 Of the natural fires that burn today in Azerbaijan, Yanar Dağ is arguably the most impressive. A 10m long wall of fire, that never extinguishes, is burning continuously alongside the edge of the hill, which naturally is at its most spectacular at night, when tourists and locals alike view the fire from a nearby teahouse. Local lore states that it was a shepherd that accidentally ignited the fire in the 1950s by tossing a cigarette, and that it has burnt ever since.